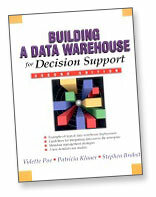 I am delighted to recommend Patricia Klauer as a data warehouse consultant. I hired her in my capacity as Medical Director of Clinical Research Services for the University of Minnesota Masonic Cancer Center. She first did a limited engagement to complete a strategic assessment of our technology needs and existing infrastructure. She then returned to work with us to develop our architecture and to implement her recommendations. In addition to her excellent technical skills, she brings an extremely mature understanding of organizational culture, a connection to the latest tools and technologies, and most importantly, a flexible approach that is not dogmatic or tied to any particular solution. We have worked together for over 2 years and I could not be more pleased with our progress. Patty is a leader who championed the transformation of my team into a well-oiled single unit. Without hesitation I can recommend her to any company looking to streamline not only their daily operations using proper methodologies but also who are thinking of putting a plan into motion for constructing a data warehouse. Her expertise in negotiating between sponsors on the one hand and the IT on the other is phenomenal. She brings to the table a deep seated knowledge which stems from years of experience in the field. Her consultancy with us exposed organizational challenges and resulted in a new architecture for the cancer center. It is an honor and a pleasure to write this referral for her. Patricia is an expert in her field. Her strong ability to collect multitudes of information and then create an innovative vision for the IT team at the Masonic Cancer Center was extremely valuable. Not only did the vision read well to the IT team, but to senior leadership as well. Making the vision come to fruition is an area where some consultants come short, but not Patricia! She stayed on-board to help with implementation of a complex plan, making the ~2 years that I worked with her to be the most rewarding time in my 12 years at the Masonic Cancer Center. From my perspective in my role as a Project Manager and Business Analyst, I strongly recommend Patricia as an IT Consultant. May 1, Patricia will be presenting "Front End First: A fresh approach to building BI solutions"
DATAVERSITY interviews Patricia Klauer about her upcoming presentation at the Enterprise Data World 2013 Conference. Dr. Patricia Klauer discusses "Front End First” methodology. Patty is a leader who championed the transformation of my team into a well-oiled single unit. Patricia is an expert in her field. Her strong ability to collect multitudes of information and then create an innovative vision for the IT team at the Masonic Cancer Center was extremely valuable.